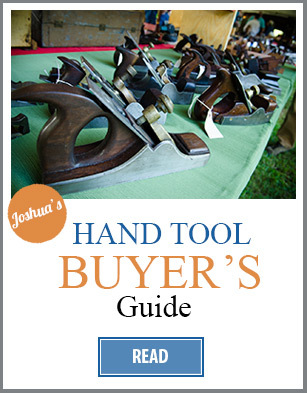 In this twelfth hand tool buyer’s guide, we’ll cover the basic tools that you’ll need for getting started in wood carving, specifically wood carving gouges and wood carving mallets. 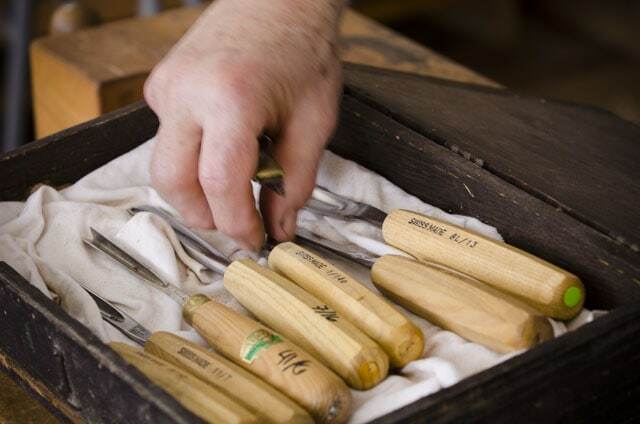 A carving gouge is a curved chisel, used for wood carving, bowl & spoon carving, etc. 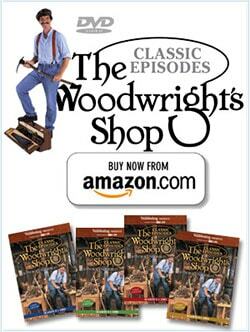 Carving gouges can be used on both green wood and dry wood. 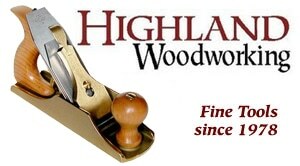 What to look for in carving gouges? Carving gouges come in a huge variety of sizes, differentiated by different variables: Sweep, Width, Out-canel vs. Incanel, Single bevel vs. Double Bevel, Full size vs. Intermediate size vs. Palm Handled, Straight vs. Skew vs. Bent, etc… It’s enough to make your head spin! For now we’ll just focus on two variables: Size number (width in millimeters) and Sweep (curvature). 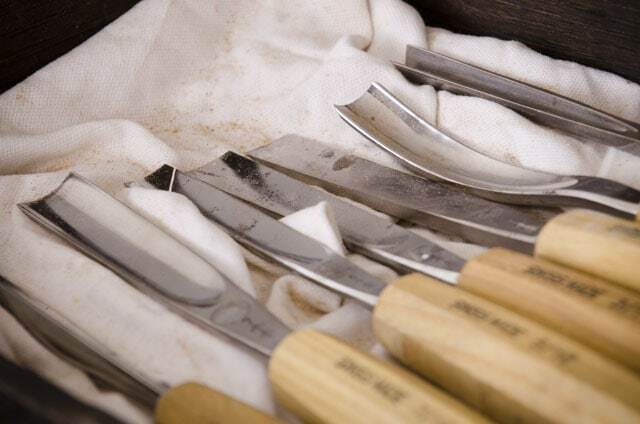 And for wood carving purposes, we’ll just be looking at straight, out-canel gouges, where the sharpened bevel is on the bottom of the blade. 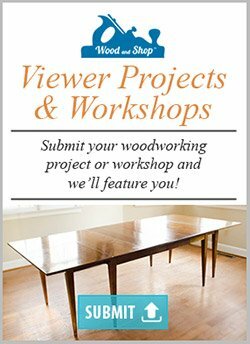 Bent gouges are specialty tools that allow you to approach the work at a steeper angle, as with bowl carving and other projects that involve carving out a cavity. 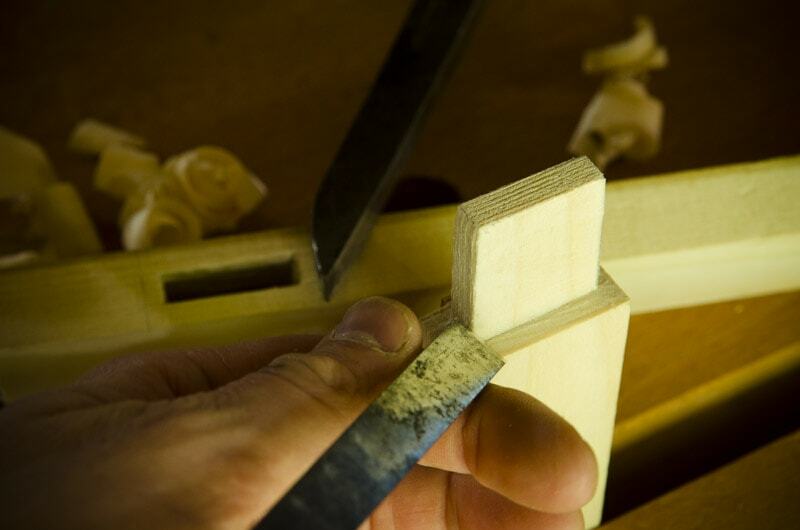 And In-canel gouges are more used for specialty tasks, such as window sash work. 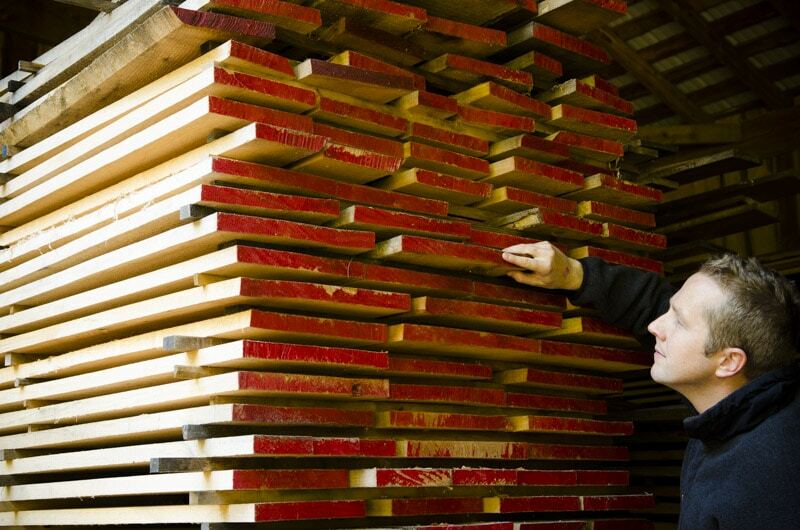 Sizing classifications differ depending on if the manufacture is (or was) in Europe or in Britain. The British included a skewed size in the lower sizes, and the Europeans didn’t, so that can make it difficult to compare apples to apples. 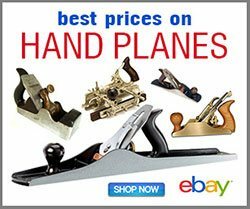 But fortunately, the most popular modern manufacturer, Pfeil (A Swiss company, pronounced “File”), has become the standard for carving gouges, due to their quality and affordability, so their sizing system is most commonly used. The carving gouge sweep sizes lie on a spectrum from #1 (a flat carving chisel, with no curve), up to a U-shaped #11 sweep (the largest curve). And the largest sweeps are #12 through #16, but they aren’t curved, but v-shaped (e.g. “V-parting tool” or “V-gouge”). 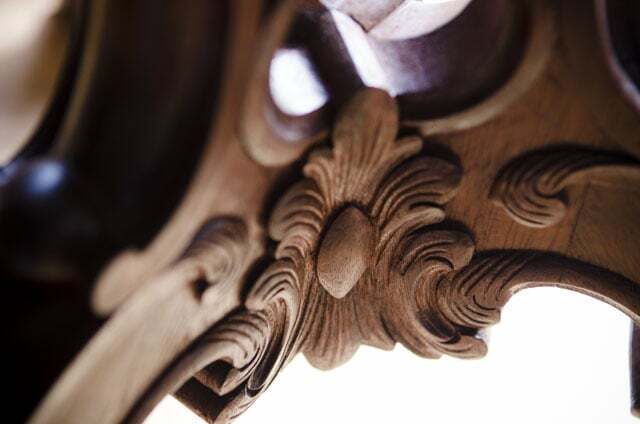 V-gouges are used to outline the elements of a carving, preparatory to giving the carving depth with the less-curved gouges. The gouge is stamped with 8/13. The number 8 would be the sweep, or curvature. The number 13 would be the width (in millimeters). So again, all the sizes in this chart have the same sweep (or curvature) of 8. 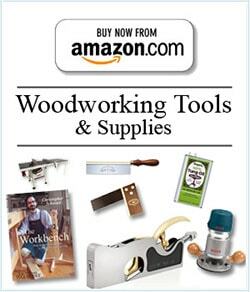 In the above video Bill Anderson talks about the basics of wood carving tools for beginners. 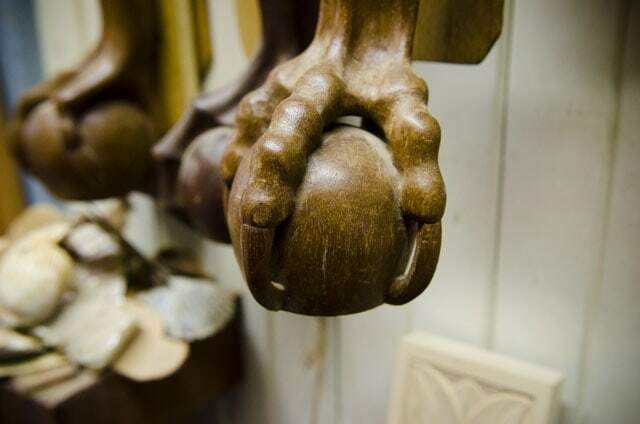 He specifically discusses sizes, and shows some introductory carving techniques. You can also read the accompany article here. 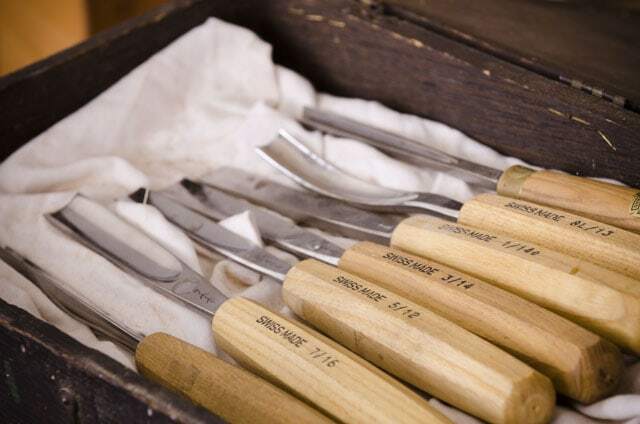 Like with any chisel, the quality of the steel is the most important consideration. 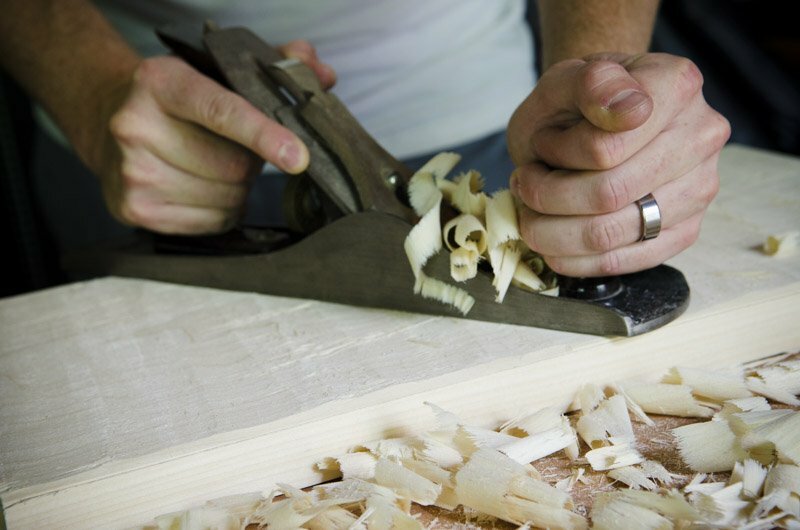 You want a carving gouge that will not only get very sharp, but hold the edge as long as possible. 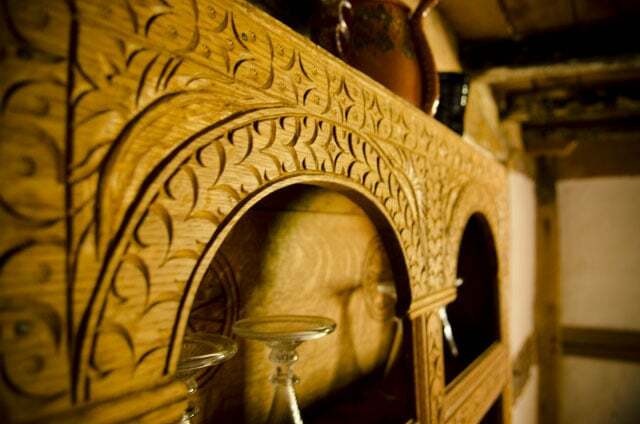 Another consideration is the shape and comfort of the handle. The Swiss Made Pfeil gouges have flat faces on the handle, which aid in gripping, and help prevent the gouge rolling off your workbench. 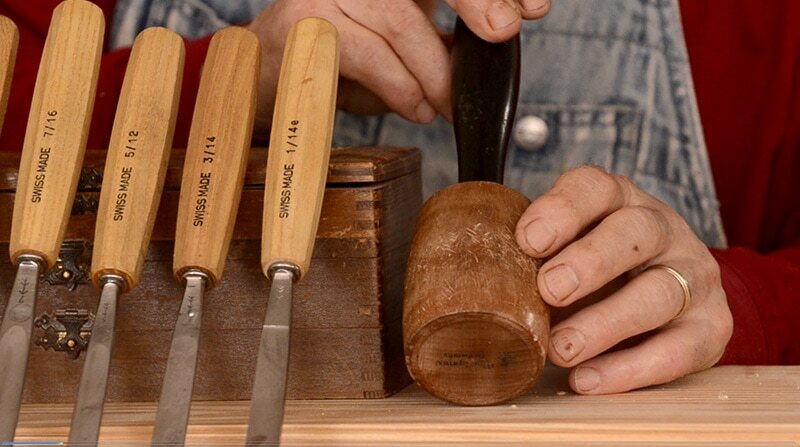 Which Carving Gouges Should You Buy First? 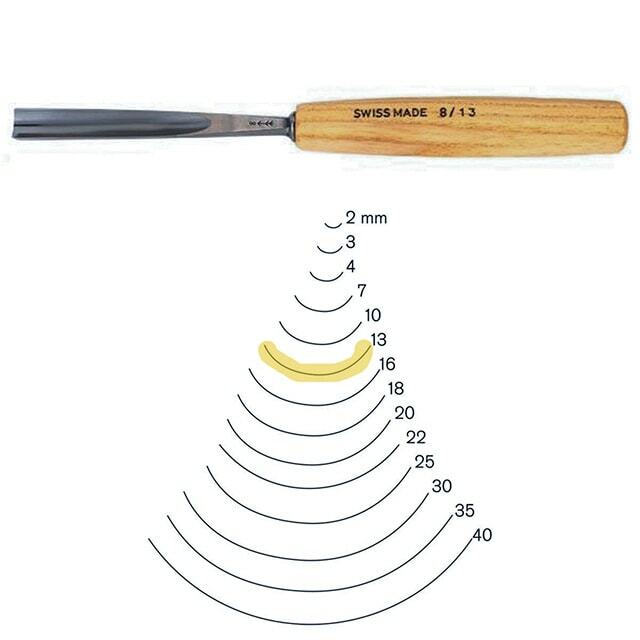 In our class “Bowl Carving & Spoon Carving with Mike Cundall“), Mike recommends that his students purchase a #7 sweep long bent gouge, between 25mm and 35mm…like this one, this one, or this one. 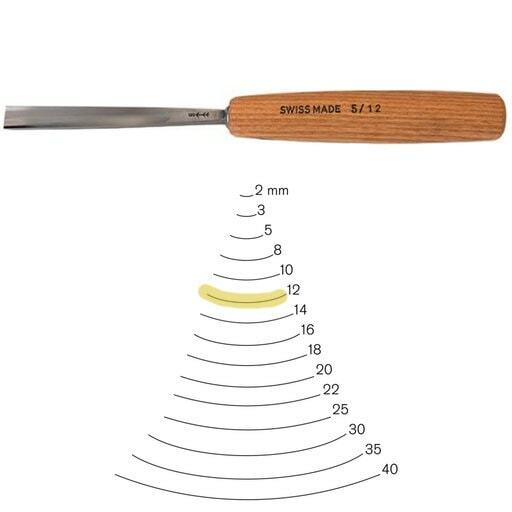 If you have a picture or drawing of a carving that you’d like to replicate, then you can use a wood carving gouge size chart provided by the manufacture of your gouge. 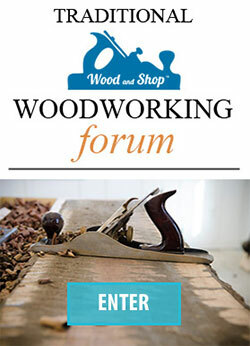 For example, you can use the size charts in the Pfeil catalog to determine which sweep and size will match the curves in your carving (you can view and download their catalog here). 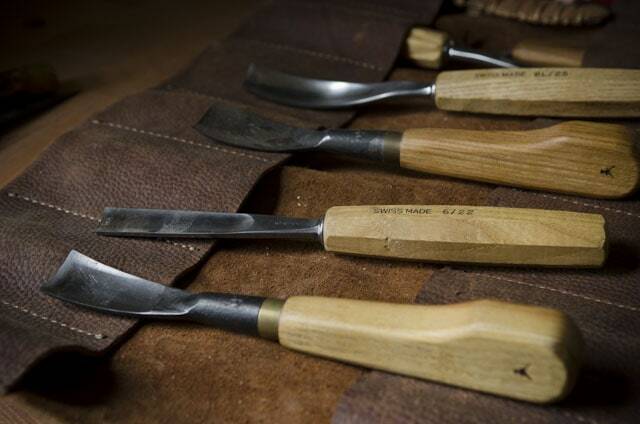 Where to find good Carving Chisels? Any good brands that we’re missing? If so, email us here. 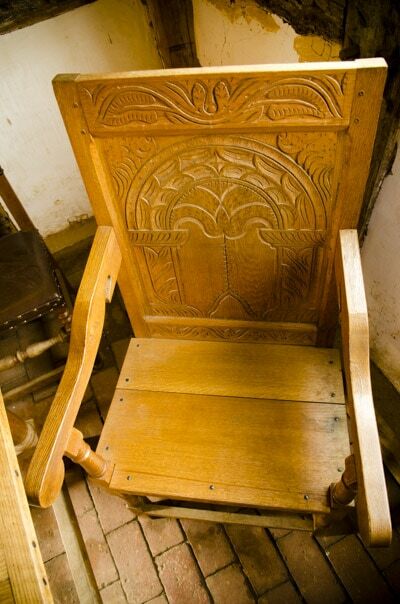 Carving with a joiner’s mallet would be a little aggressive and tiring. Using a metal hammer would destroy your gouges. 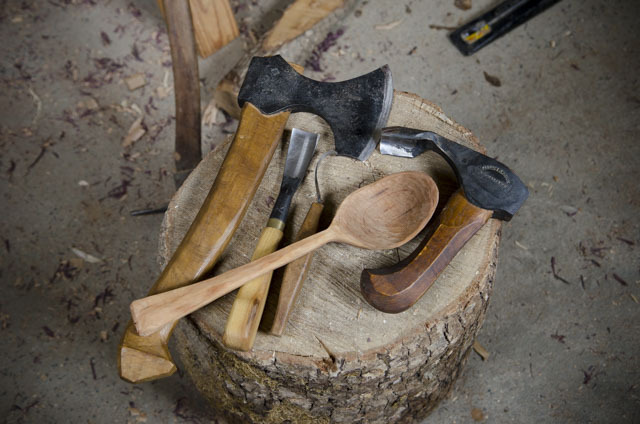 So we recommend that you use a small carver’s mallet for any carving work that requires tapping. 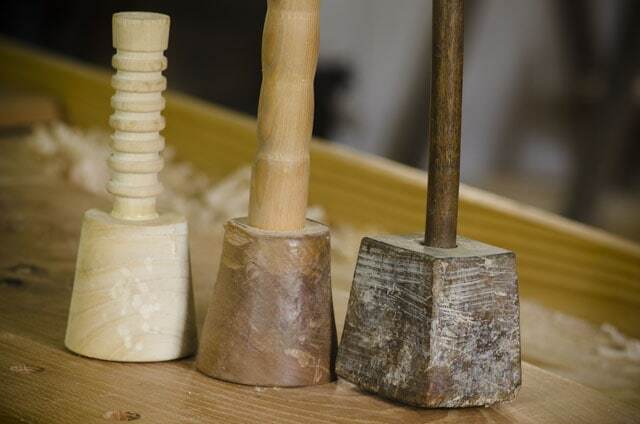 The mallet can be made from scrap hard wood turned on your own lathe, or can be purchased at flea markets, antique stores, or from online sellers. 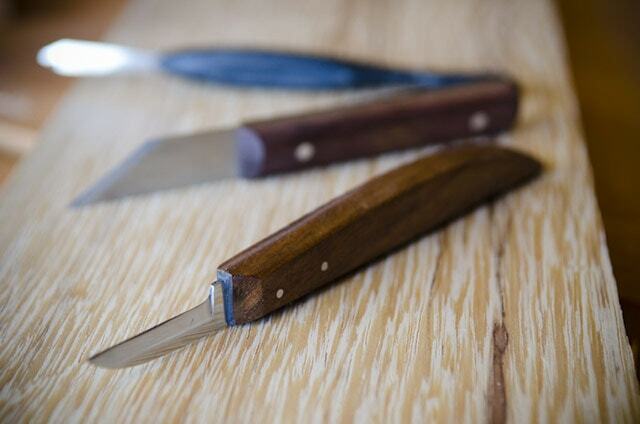 Another common wood carving tool for woodworkers, is a chip carving knife. 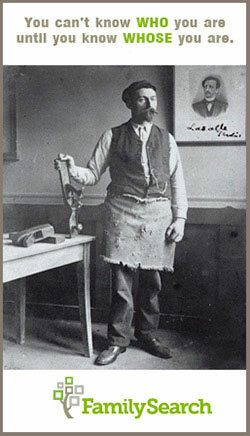 You may have seen a chip carving knife like this used in my marking & measuring buyer’s guide, but yes, it is actually also used for carving wood, specifically for chip carving, whittling and furniture ornamentation. 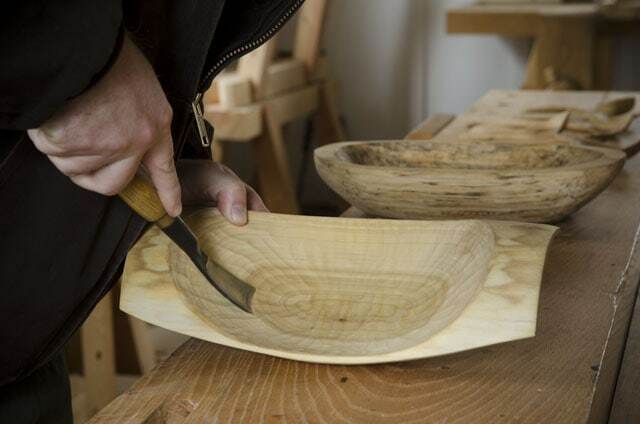 You can read about recommended tools for carving with green wood on our green woodworking buyer’s guide here.